Francis Lubbock was born in South Carolina on October 15, 1815. Lacking a formal education, he engaged in an unsuccessful mercantile trade while still in his youth. He moved to New Orleans, then to Texas soon after the revolution was won. In 1837, he entered into public service as a clerk of the House of Representatives of the Republic of Texas. President Houston named him comptroller, but he soon transferred to the field, as adjutant of a command organized to protect the Texas frontier. In 1841, Houston again appointed him comptroller, but again Lubbock resigned after only a short time in office, as he was elected district clerk of Harris County. After serving sixteen years in that position, he was elected as Lieutenant-Governor in the Runnels administration. 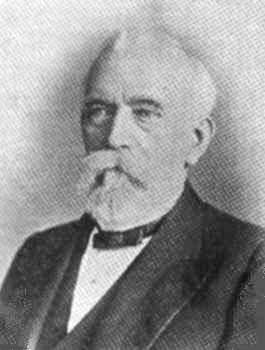 Lubbock was elected Governor of Texas during the early years of the Confederacy. He declined to run a second term, however, preferring to enter the military and serve in the field. After serving briefly in Louisiana, however, he was recruited by Confederate President Jefferson Davis to serve on Davis' staff in Richmond, Virginia. Lubbock served and developed a close relationship with Davis throughout the balance of the war. He was with Davis when captured and imprisoned by Union troops after the fall of the Confederacy. Lubbock was kept in solitary confinement until released in late 1865. After returning to Texas, Lubbock served as State Treasurer throughout the 1880's. He recorded his personal experiences in business, war, and politics in his memoirs, Six Decades in Texas, published in 1900. He died June 22, 1905 in Austin, where he is buried in the state cemetery.